A man was robbed of his wallet at gunpoint early Saturday morning on Panola Street, New Orleans police said. 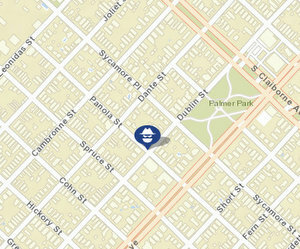 The victim, a man in his late 20s, was in the 8200 block of Panola (near Dante Street) around 12:10 a.m. Saturday, April 8, when two unknown people got out of a small, dark-colored two-door vehicle, according to the initial NOPD report. “The subjects took the victim’s wallet and fled,” the report states.